Watch and hear former wrestler Jesse Ventura, who later became the Governor of Minnesota, introduce Sting during one of his earliest bouts. See some of Sting's early 1990s encounters in which he challenges such other wrestlers as Jake "The Snake" Roberts. This video contains many of the classic throws and maneuvers that appeal to many WCW fans. 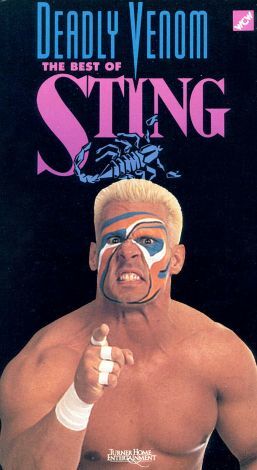 Sting's performance will remind viewers of his ability to psyche out his opponents while pinning them in championship holds. Even when actually injured, Sting shows that he can still hold his own, frequently winning some of his toughest matches. This tape is intended for wrestling fans who enjoy revisiting some of the WCW's classic bouts.